My father brought this SHAZAM Treasury Edition home for me during a frequent cigarette run. I’d be wiling to bet that he thought it was a Flash book–red costume with a lightning bolt, how hard is it? Either way, I enjoyed my first encounter with the World’s Mightiest Mortal. It was a pretty huge deal that DC revived the original Captain Marvel after two decades of their lawsuit with Fawcett making it impossible to even reprint the older stories. 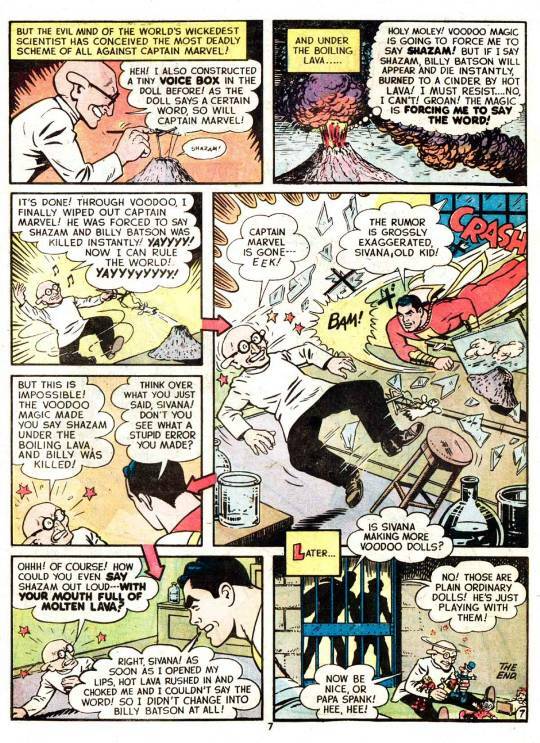 This was a time where, in the face of flagging sales, DC’s publisher Carmine Infantino was trying all sorts of things that he thought might spark sales, and bringing back what had been the best-selling character of the Golden Age was one of them. It was a gambit that never quite worked out as well as they would have liked. Despite the top-notch resources that were put against Captain Marvel, including the never-fail touch of revival specialist editor Julie Schwartz, the new series never quite caught on. 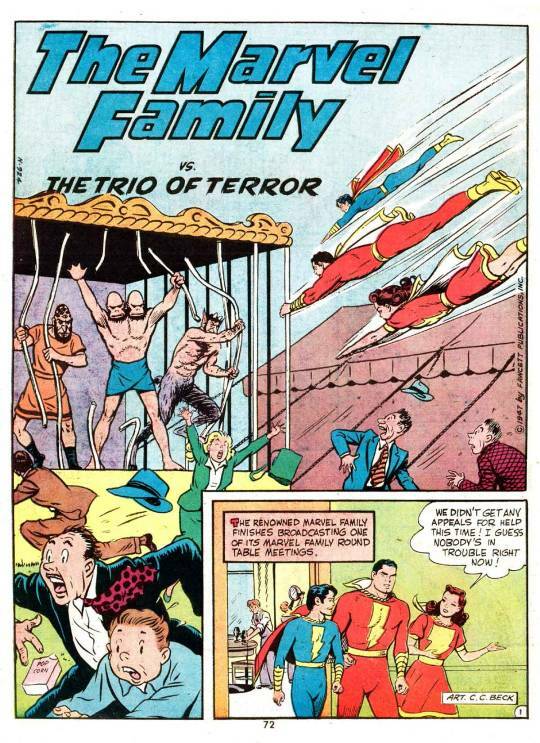 But for a short time it seemed like it would, as some unscrupulous dealers cut a deal with the distributor to buy copies of SHAZAM #1 directly from them, so those books never got to the stands–making it both rare and look like it had been a sell-out. 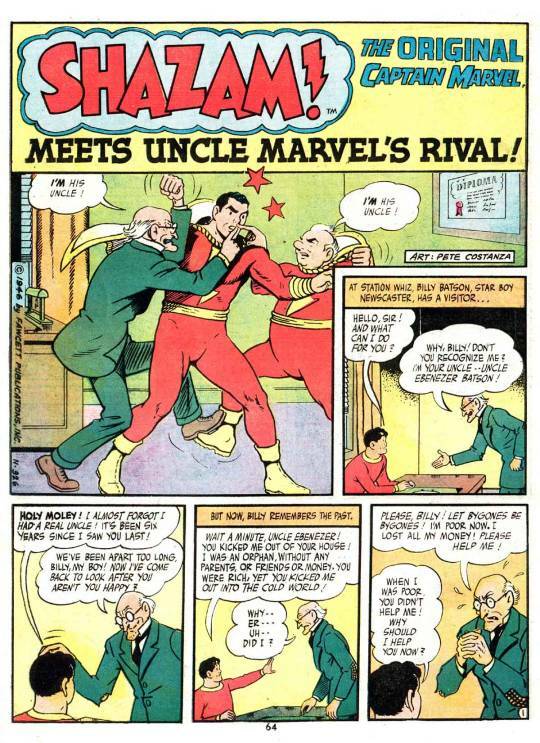 They also tried mightily to create a rivalry between Superman fans and Captain Marvel fans, through having a dedicated Superman-Shazam Battle Page letters page in issues of both titles. Again, though, this didn’t really amount to much of anything, as readers were always free to read the adventures of either character, both, or neither. And those new adventures of Captain Marvel somehow missed the mark, the creators working on them too often mistaking the fun and whimsy of the original stories for childishness, and writing their new material accordingly. 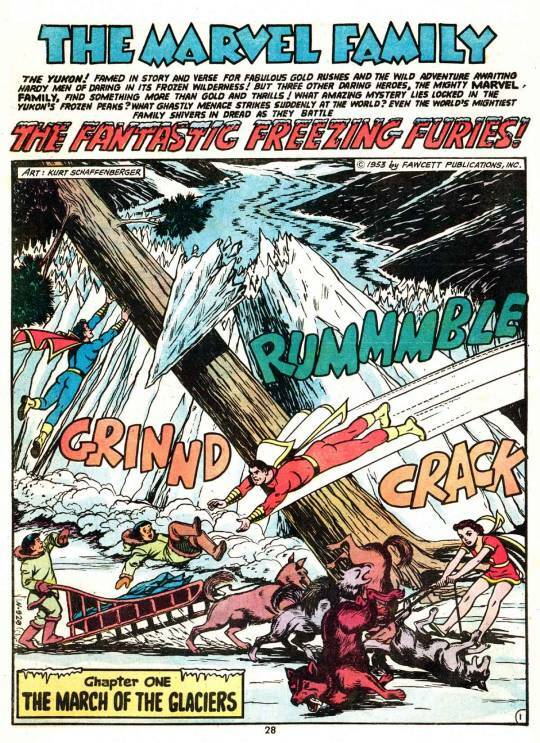 However, any time DC reprinted the original Fawcett-era stories, it was a gem. 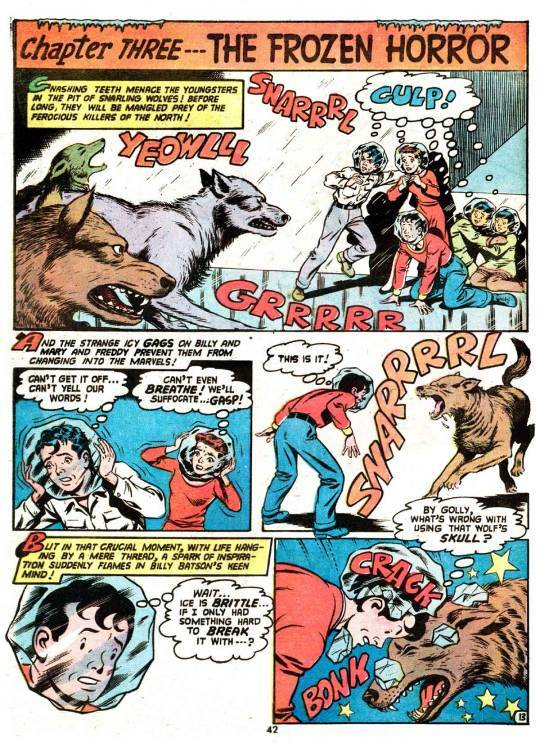 Immediately I preferred the ones devoted to Captain Marvel rather than those of Marvel Jr. or Mary Marvel–those were done in a more straightforward heroic art style that somehow made them less charming to me. But the work done by C.C. Beck and his contemporaries and author Otto Binder I really clicked to. There are a bunch of moments in this Treasury Edition that stayed with me. 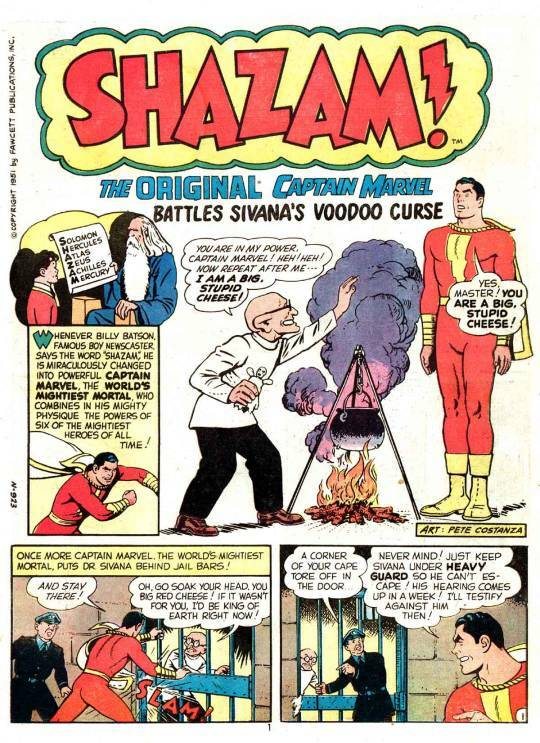 Sivana using a voodoo doll to make Captain Marvel fly into a volcano and change back into Billy Batson (Marvel survived by submerging himself in the lava, and so when he opened his mouth to say his magic word, the molten rock prevented any speech. 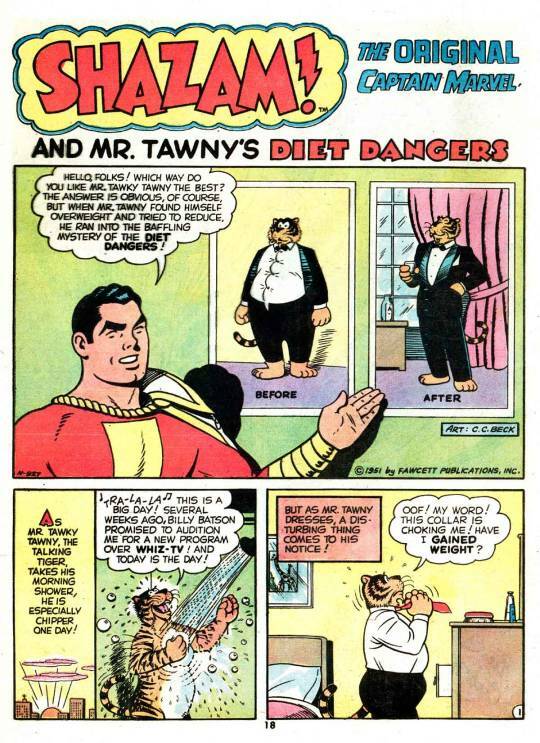 ), Mister Tawny (whose existence as a talking upright tiger I didn’t for a second question) needing to lose weight, and the Marvel Family being trapped in their human forms, their heads encased in ice. 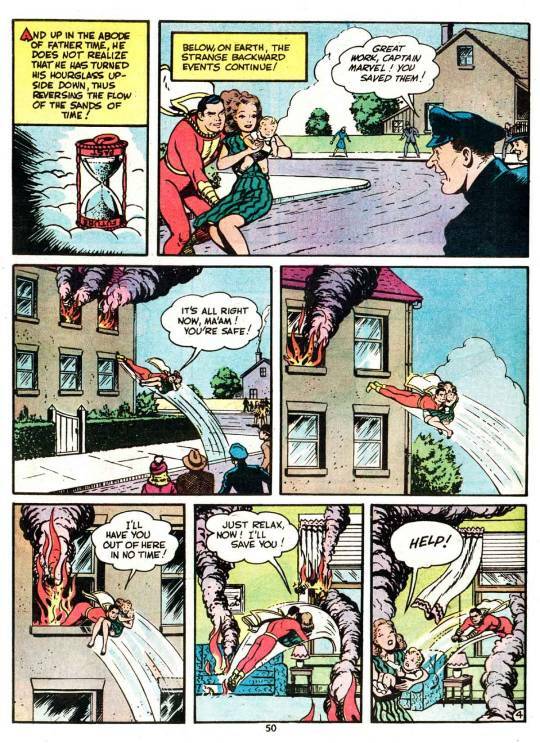 There was this super-cool story in which Captain Marvel made an error in judgment that resulted in the pilot of a crashing plane getting killed, but Father Time accidentally sets his hourglass down upside down, rolling the hour backwards, and allowing him a do-over to get it right. So the entire story plays out in reverse, which is a wonderfully ridiculous sequence, and then Captain Marvel gets a second chance to save everybody, which of course he does. This one Treasury Edition lays out pretty much the entirety of Captain Marvel’s world. Virtually all of the key characters are represented, as is the Captain’s origin, in this story in which his long-forgotten Uncle who was first mentioned in his debut story, returns looking for a payout. The truth is that I was more of a Superman fan than a Captain Marvel fan. But a lot of that had to do with the quality of the contemporary stories. 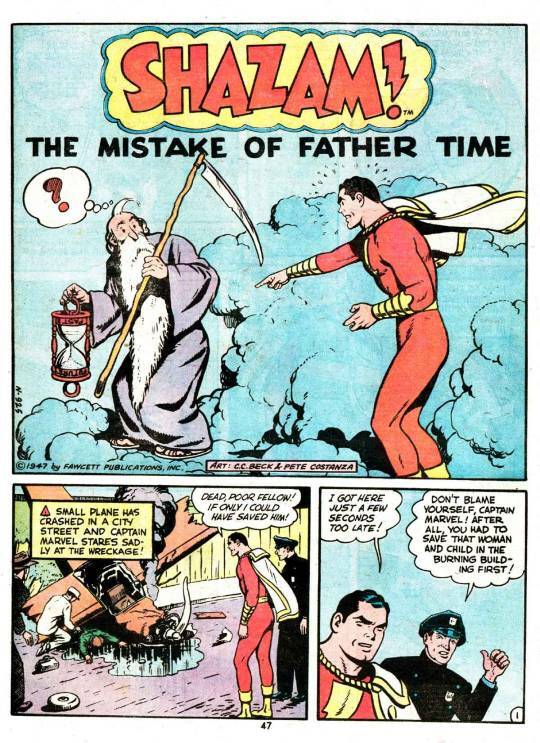 But there was a quality in the earlier material that I found very appealing, enough so that I would come back to SHAZAM semi-regularly over the coming months.